THE STORY In 1973, the first year of the Birkie, cross country skiers were sporting the best athletic gear of the day--knickers, wooden skis, and bamboo poles. 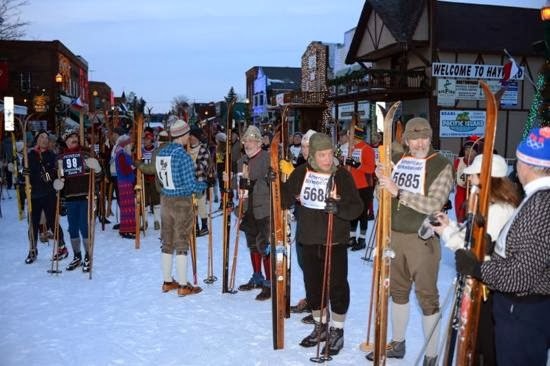 For the second year, you can re-live that era by participating in the Birkie “Nikkerbeiner.” This retro 5K ski tour on wooden skis has been named after the Norwegian word for knickers. This event will take place on Main Street, Hayward, at 2:15 p.m., Friday, February 21st. The event will start just prior to the Family Fun Ski 5K/10K. RACE COURSE & TIMING The Nikkerbeiner will start on historic, snow-covered Main Street in downtown Hayward, WI (the finish for the Birkie on Saturday), follow a 5K course, and then finish back on Main Street. The Nikkerbeiner is an un-timed event. 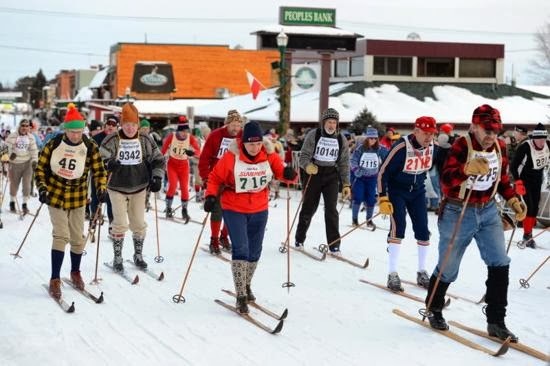 This is a family event for anyone that can comfortably ski 5 kilometers. Put on some wooden skis and have fun! COSTUME CONTEST & PRIZES! Wooden skis are a must, but from there it's up to you. Go as retro as you can. Tell us about the “old school” equipment and clothing you will be using for the event. This will give our announcer great commentary while you ski and help us select the best retro outfits at the finish line. When you register on-line, be sure to fill out the section about what you will be wearing and what equipment you will be using. You may win a prize based on your equipment’s story as told by you when you advance register, prior to Thursday 4:00pm. Prizes are to be awarded at the finish line. Prize details coming soon! Again, wooden skis are required for this event. If you have bamboo poles and knickers, great. 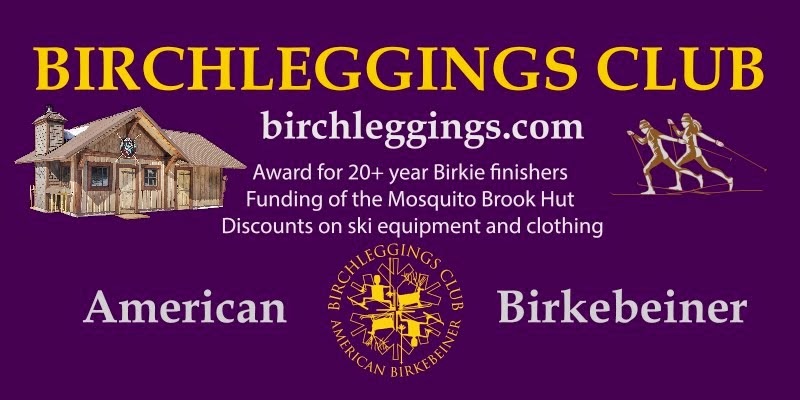 If not, use what you have or can borrow and join your fellow "Nikkerbeiners" for this fun event celebrating 42 years of Birkie! BIBS & BIB PICK-UP Bring your own bib! 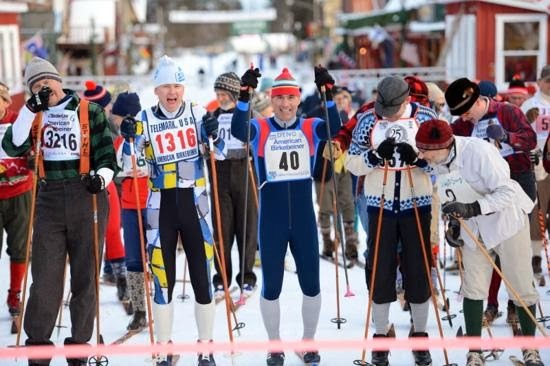 You are welcome and encouraged to wear your oldest Birkie bib or your favorite bib. And, your bib can be a part of your story. If you do not have a bib, we will supply you with one at the check-in tent near the start line between NOON and 2 p.m. on Friday, February 21st. COST $10 per skier. 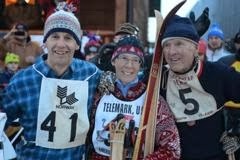 Registration now open and is on-line at www.birkie.com Select the Events tab and pick NIKKERBEINER. PARKING AT RACE START - There is parking along the side streets near Main Street and at various free, public parking areas in downtown Hayward. Expect to walk a few blocks at most. Start Time: 2:15 p.m., Friday, February 21st.